Earlier this month I mentioned the Wishtrend panel that was organised by Donah of SweetjellyBean which had other selected bloggers reviewing a product from the Wishtrend website. Please refer back to that post to read my initial thoughts and explanation of this cream. 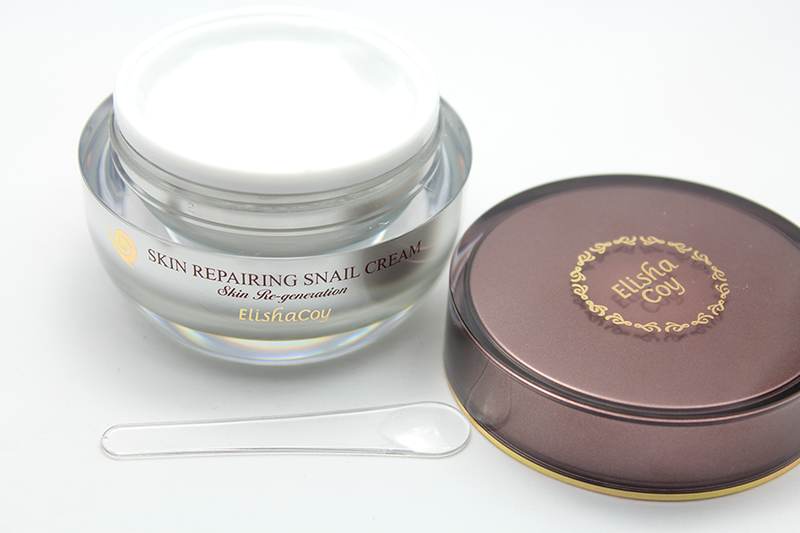 Snail Slime Extract enhances skin elasticity and flexibility and forms skin's moisture barrier, leaving it vibrant and lively. Hyaluronic Acid, Aloe Vera Leaf Extract and Tea Complex made of 12 teas make dry and tight soft skin supple and smooth by nourishing and moisturising it. Phyto-TF, a substance of vegetable complex extract, protects and comfortably calms your tired skin, keeping it vibrant. As you may know, I'm already a snail product user, so I was very interested in using this as my normal snail gel helps to keep my acne at bay and also dried to a nice matte feel and with little use. So I am comparing this to the one I already have and also how my skin has reacted. This cream is light and almost watery in texture, very cooling . Within the first few weeks my skin was adjusting it wasn't so bad, at night I did feel I needed to put more on because during the night my skin does get drier. So I do like my cream to keep me hydrated to at least the morning. I didn't find this did that, I felt within 2 hours of putting this on at night I needed to put more on and then I felt I was overindulging my skin with cream. Another thing that I didn't like, my T-Zone got more oily with the use of this. Which started to put me off this and I had to revert back to my no make-up and normal skin cream to get my skin back to an okay state. I did like that once I had cleansed and toned my skin that this did make my skin feel soft and healthy but it seemed my skin liked to absorb this clean away. Unfortunately I didn't get on with this as well as I had hoped too.